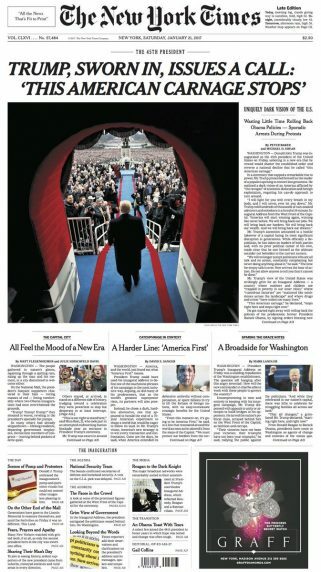 The New York times is the largest 7-day-a-week newspaper in the U.S. Contains 19 comprehensive sections created by a news department of over 1,200 journalist and employees in 45 news bureaus worldwide. The New York Times reaches 172 million digital users every month. Not just in the U.S. but all around the world. This support from readers allows TNT to create world-class, cutting-edge forms of journalism. • Winner of 104 Pulitzer Prizes, ranks #1 of 143 print and broadcast media in reaching U.S. opinion leaders. • Ranks #1 in highest percentage of individually paid copies for a national newspaper. • Ranks #1 opinion leader reach in print The Weekday New York Times vs. National Newspapers and Business Publications. • The Weekday New York Times ranks #1 out of 143 U.S. media in reaching total U.S. Opinion Leaders on key issues, such as: Business, Economic/Financial Policy, Defense and National Security, Trade/Global Economics, Legislative Government Policy and Law & Legal. Bloomberg Business Week. Global Edition.